Well, there certainly was a lot of homework for the TSS staff to mark this weekend! So much in fact it’s taken us an extra day to do it – but now we can officially announce the winner of the competition! We had nearly 300 entries; some made us laugh, some made us cry (ok a lot made us cry) … some were so long we fell asleep half way through reading them. But like in any class, the top students have passed their test with flying colours! 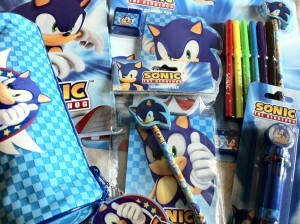 All three of you please get in contact with your postal details through tbird [at] sonicstadium.org and we will send your prizes out to you! As for the rest of you, it’s 5 laps around Green Hill Zone with Coach AAUK. SEGA has now removed the Nintendo 3DS and PC versions of Sonic Generations that were listed in SEGA Sammy’s earnings report May 17th. NeoGAF member Shiggy, who admins claim is very reliable, says retail sources have also been informed about this by SEGA. 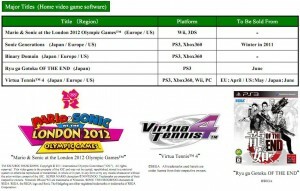 Now this could mean that the listings were an error or it could be SEGA patching a leak. 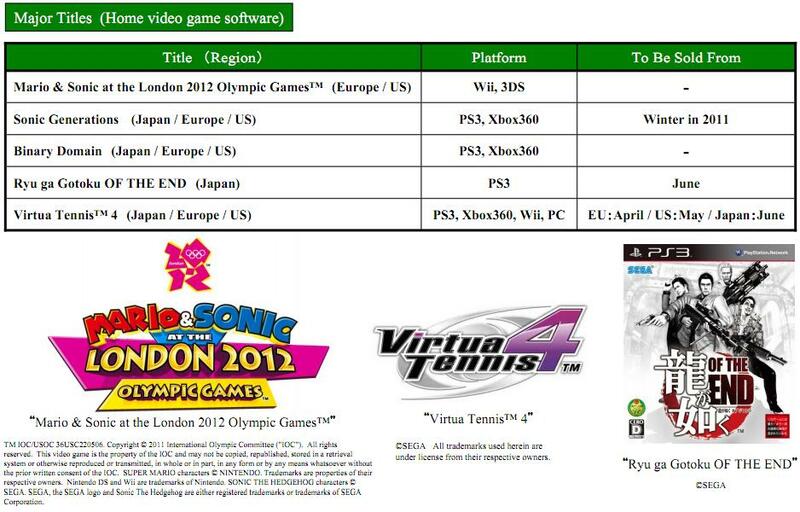 Hopefully SEGA will speak out on this soon. 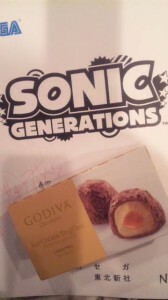 In others news, Cream the Rabbit’s Japanese voice actress Sayaka Aoki has revealed on her blog that she has been recording some voice work for Sonic Generations and posted the above image. We have been recording a new Sonic game! 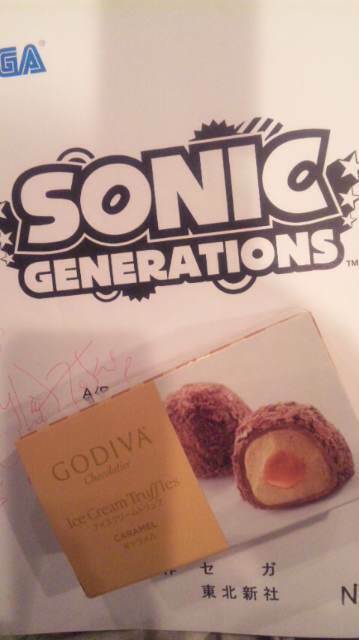 From this we can only assume that Cream the Rabbit will be one of Sonic’s friends Sonic Team head Takashi Iizuka said would be appearing in Sonic Generations’ story. Thanks to Woun for the heads up on both news pieces! Easter Holidays – How Do You Eat Yours? So a guy died for our sins once, but then he got better. And as a result, we celebrate this occasion with copious amounts of chocolate eggs and hot cross buns. I thought I would treat you guys to a brand new skin for The Sonic Stadium so you can get fat on choccies in style! And who better to be the face of Easter than Cream the Rabbit? Yes, it’s the return of the skin selector, which last made a gracious appearance in this form a good few years ago. All part of bringing TSS back to its former glory. ‘Creamed’ is now the default skin for the website, but if you don’t happen to like it you can change it back to ‘Sonical’ using the drop down menu on the left hand sidebar. It’s just underneath the login/account details. I’m working on more stuff behind the scenes too – at the moment I’m finishing up on the new Screenshots gallery, which will be a place to see still images of Sonic games past and present. I’ve had a huge archive of old ones from 2005 and beyond, so there’s a good few of them. Any new screens (that are good enough) will be added to this gallery too. I should be done with this, and a few more things, during this week. Oh, and in case you didn’t notice, we got the new ticker up and running. What do you think of it? Enjoy the coming Easter! EDIT: Looks like this website is getting into the spirit of things by periodically dying and reviving. Hmm. We’re looking into it guys, sorry for the inconvenience (Turns out it was our new ticker borking things up. Why people can’t make decent plugins that don’t result in database floods is beyond me but needless to say I’m not impressed with the person who wrote the ticker code). 12th December 2002… Sonic Team finally reveal to the world the Official Sonic Advance 2 Website. Packed with new information on the game, The Sonic Stadium’s Dreadknux set eyes on it, the very moment it was released. 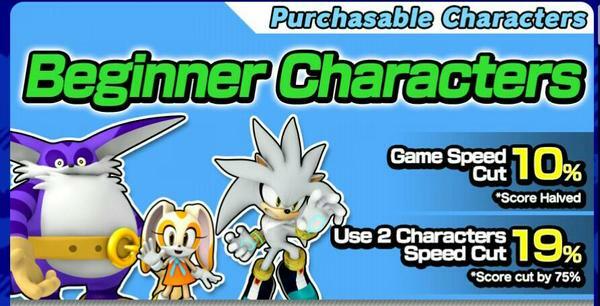 The website is just like you’d expect any other Sonic Team webby – noice and clean. We loosely translated the information on the website to give you a rough idea of what to expect in new sections of the game.